It is a disorder where thyroid gland secrets less Hormone.Thyroid Hormone regulates the metabolism of every cell. Thyroid infections, radiation, Immune disorders, tumor, Nutritional disorders, mental stress are the common causative factors for Hypothyroidism. Hair loss, lethargy, weight gain, constipation, irritability, Dysfunctional uterine bleeding, delayed puberty are the common symptoms of Hypothyroidism. A homeopathic remedy based on the nature of the person and disease helps to increase the Thyroid Hormone Secretion. Ayurvedic herbs like Ashwagandha, punarnava, Gokshura helps ina rapid healing. Naturopathic diet and yoga-like Kapalbhati Pranayama, surya namaskar helps in rapid healing. In Priyam clinic, Our Specialised treatment plan along with the best selected Homoeopathic remedy helps to cure effectively. Under our guidance usually patient starts to feel better in 1 -3 months depends on the severity of the disease. Increased thyroid hormone secretion is Hyperthyroidism. Mood swings, heat intolerance, hand tremor, weight loss, diarrhea are the common symptoms of Hyperthyroidism. A homeopathic remedy based on the nature of the person and mental status helps to increase the Thyroid Hormone Secretion. Ayurvedic herbs like Ashwagandha,punarnava, Gokshura helps ina rapid healing. In Priyam clinic, our Homoeopath selects the best simillimum after taking a full case history.Our ayurvedic and Naturopath select the best plan for a rapid healing. It is a disease where the Blood sugar level increases. Insulin is a Hormone helps to regulate Blood sugar level.In type 1 Diabetes Mellitus Insulin secretion is nil or decreased. In Type 2 Insulin secretion is normal but body doesnt use Insulin. Increased Appetite, Increased thirst, Increased urination, tiredness, weight loss are the common symptoms of Diabetes Mellitus. 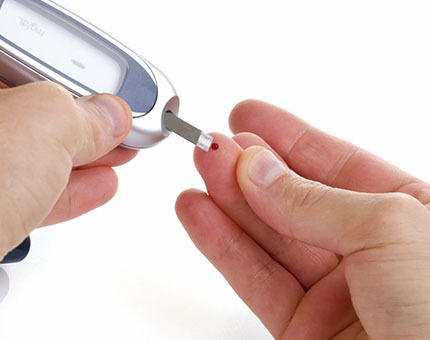 Prolonged poorly controlles blood sugar affects all other oragans of body. Stroke,Heart attack,Kidney problem,eye problem are the common complications of Diabetes Mellitus. Homoeopathy helps to gain good control over Blood sugar level.Proper management helps to avoid complications too. Ayurvedhic procedures like apatarpana, Samshodhana, Santarpana helps to nourishes the body. Naturopathic diet and yoga helps effectively in Bloodsugar control. In our priyam clinic, Our Homoeopathic practitioner selected the best remedy after collecting complete history. Ayurvedic and yoga practitioner selects the suitable modality for a speedy recovery.